DUSHANBE -- Russia's recent "military aid" to the Tajik army is an attempt to influence the region and return Russian soldiers to the Tajik-Afghan border, military analysts and officials say. Russian troops for years policed the 1,400km-long Tajik-Afghan border, but in 2005 left Tajikistan in disgrace. They were caught several times helping drug barons smuggle narcotics out of the Northern Alliance-controlled portion of Afghanistan during the years of Taliban rule (1996-2001). Since then, Tajikistan has been guarding its own border, but Russia has not given up the idea of "proving" the need for its troops to return there. One pretext repeatedly cited by the Kremlin is the allegedly high number -- about 10,000 -- of "Islamic State" (IS) militants in Afghanistan. Russian diplomats say that number is surging as defeated IS militants flee their failed "caliphate" in Syria and Iraq. Moscow is worried about IS militants increasing their foothold in the Afghan provinces bordering Tajikistan, Zamir Kabulov, Russia's special presidential envoy to Afghanistan, told Sputnik, a Russian government-controlled news agency. Kabul did not not have much patience for that Russian argument. Afghan Defence Ministry spokesman Dawlat Waziri refuted Kabulov's claim the next day, putting the number of IS insurgents in Afghanistan at "several hundred" in an interview with Radio Free Europe/Radio Liberty (RFE/RL's) Tajik service. "What Zamir Kabulov said is nothing other than his own personal statement," Waziri said. Earlier that month, on December 19, Russia donated to Tajikistan "small arms, artillery and armoured hardware, helicopters, communication and air defence means, logistical and medical and survey equipment", said the Russian Defence Ministry. Russia's military aid to Tajikistan included T-72B1 tanks, BTR-80 and BTR-70 armoured personnel carriers (APCs), BMP-2 infantry fighting vehicles, Mi-24 and Mi-8 helicopters and D-30 howitzers, according to Maj. Gen. Alexander Kshimovsky, a Russian Defence Ministry official. The armaments were granted "to repel the terrorist threat and create an effective barrier along the Tajik-Afghan border", Kshimovsky said, according to RT, a Kremlin-controlled media operation. The Russian hardware donated to Tajikistan includes six infantry fighting vehicles and 12 APCs, two howitzers and four ZU-23 anti-aircraft guns, Akhmad Yusupov, a Dushanbe-based military analyst, told Caravanserai. "The vehicles are old but have been modernised," Parviz Rasulov, a former Tajik army captain who resides in the United States, told Caravanserai. "The APCs are new. The infantry fighting vehicles and howitzers are older, but all the former Soviet republics have those. And the tanks are modernised, though to mid-1990s standards." Earlier, last May, Russia deployed Iskander-M tactical ballistic missile systems to Tajikistan -- the first time Moscow has operated this type of missile in the Central Asian country, RFE/RL reported. The system was meant to be used during the Dushanbe Anti-Terror 2017 military exercises, said Russian officials at the time. Tajikistan already hosts the 201st Military Base, Russia's largest base abroad. The base is stationed in two separate locations in Dushanbe and in Qurghonteppa, Khatlon Province, and hosts an estimated 6,000 to 7,000 troops. "Without a [military] base here, [the Russians] would immediately lose influence over Afghanistan, Uzbekistan, Tajikistan, Pakistan and Iran," Rasulov said. "If Russia leaves, that's it -- it loses Central Asia forever, the way it lost influence over Poland, the Czech Republic and other countries in Eastern Europe." However, because Russia is seeking more influence in the region, the real reason for its so-called military aid is that Russia intends to return to the Tajik-Afghan border, he said. If Russian border guards are stationed on the Tajik frontier, Kazakhstan, Uzbekistan and Kyrgyzstan will find themselves within a de facto greater Russia, said Rasulov. 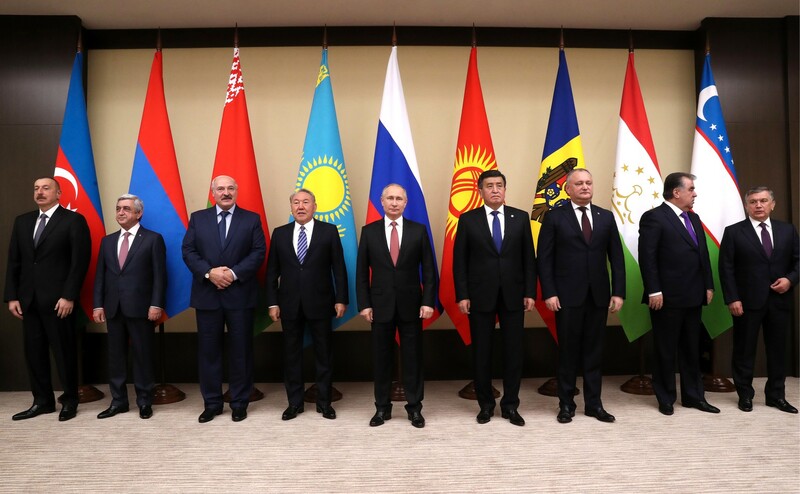 "Having the [Russian-controlled] Eurasian Customs Union throughout the entire Commonwealth of Independent States is one thing ... but stationing your own border guards greatly simplifies [influence building]," said Rasulov. "It simultaneously increases Russian [presence] and influence, as if those border guards are protecting all Central Asia from terrorists." Such heavy-handed "aid" from independent Tajikistan's former tsarist and Soviet ruler has not gone down well. The country is fully capable of repulsing any form of external aggression, said Tajik Border Troops spokesman Mukhammad Ulugkhojayev. "Our border guards have proven their worth against all attacks and any attempts to cross the border originating in Afghanistan," he told Caravanserai. "During 2017, we held 26 meetings and rounds of talks with Afghan border troops." Tajikistan set up three border garrison headquarters, four border guard outposts and 11 border crossings in 2017, he said, adding it plans to build 20 more border guard installations. "This was all done for the sake of national security, so that our border guards, regardless of the time of year, are ready to serve," Ulugkhojayev said. "They have computers, libraries, kitchens, classrooms and other equipment." Russia is a strategic partner, but its [military] bases are not needed here. The Russian Army in Tajikistan is a guarantor of peace throughout Central Asia. Those who want to stir things up in the region, namely the Yanks, don't like it. 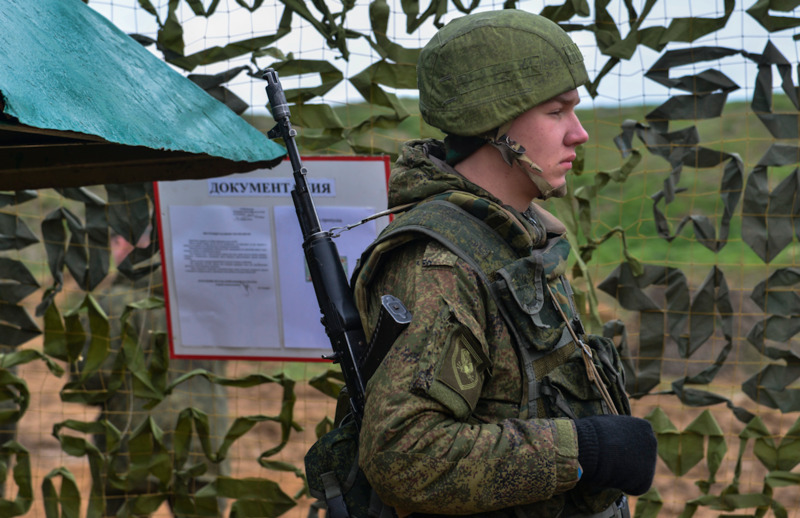 The Kremlin has often used military aid as a means of exercising influence, with the goal of keeping countries -- in particular those in Central Asia -- dependent on Russia. The latest drills were ostensibly to prepare for militant attacks emanating from Afghanistan, but many see the maneuvers as an expression of Russia's reluctance to allow others into its 'backyard'. Russia does not have 'a custom of interfering in the internal affairs of other countries and is not doing so now', Kremlin spokesman Dmitry Peskov told reporters. Simple facts belie the statement.